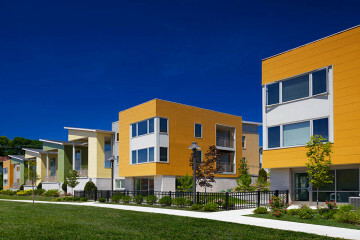 Almono mega-development in Hazelwood aims to be a "24/7 neighborhood"
Exterior of Mill 19. Photos courtesy of RIDC. The big piles of dirt move, sometimes. So far, one might think that’s the extent of the excitement at the long-awaited Almono development in Hazelwood. 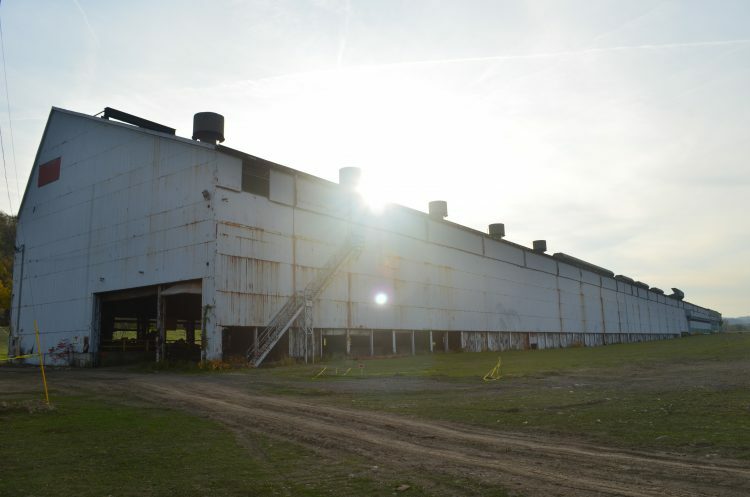 As much as $1 billion in development has been mapped out for this vast stretch of vacant industrial land along the Monongahela River. For 15 years or so, it’s mostly been anticipation, and piles of dirt. But things are happening here. Big things. Most aren’t all that visible from the street. A new road now stitches together the site — the project’s 1.5-mile Signature Boulevard is in place. Next up is the gigantic steel remnant of the old LTV steel mill on the property. 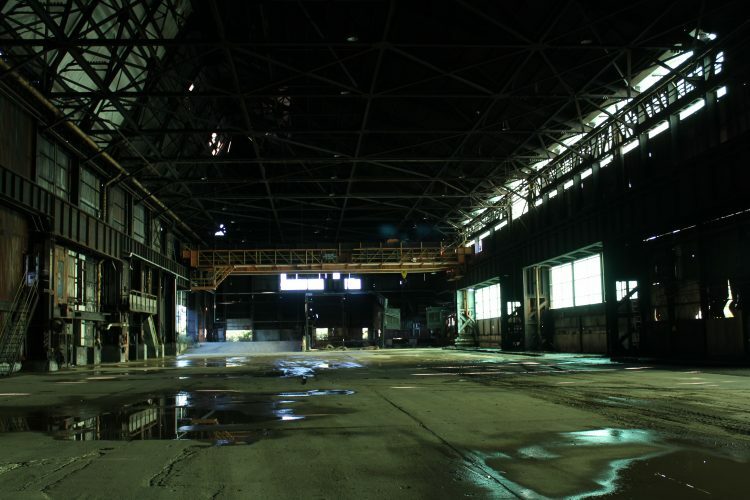 RIDC just received permission to start demolition and remediation on the cavernous, 180,000-square-foot building, now called Mill 19. The superstructure will be “a tribute to the industrial heritage of the site,” says Smith. Inside Mill 19. Photo by Harriet Stein. CMU’s Advanced Robotics Manufacturing Institute — a consortium that brings together 220 universities, manufacturers, governments and nonprofits — is currently in negotiations to be the first tenant. The independent institute was created to make sure America benefits from the coming wave of automation and autonomy. In January, the CMU-led consortium won $253 million in public and private funding, including $80 million from the U.S. Department of Defense. It’s a national effort, to be headquartered in Pittsburgh. Plans for Almono, which is an amalgam of Allegheny, Monongahela and Ohio, came and went. One involved a casino, which ended up on the North Shore instead. Another took into account the Mon-Fayette Expressway, which was supposed to come through, and the CSX rail line, which was supposed to leave. Neither happened. Someone has to make the first move. The space is optimized for high-tech users, including research and development and advanced manufacturing. There has been a lot of interest so far, though they won’t say which companies are interested yet. They are “companies everybody would recognize,” notes Smith. 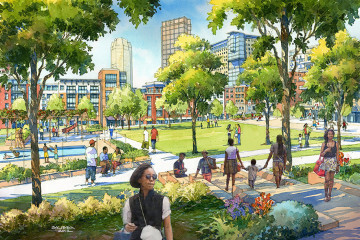 The plan is to integrate the site into the existing Hazelwood neighborhood by connecting it to the street grid, and making it accessible to everyone. Already, long vacant buildings on Second Avenue are being refurbished, and new tenants, like the French bakery La Gourmandine, are moving into to Hazelwood. The Mill 19 and its grounds are only about 4.5 acres. RIDC controls 7.5 acres toward Second Avenue, the main road and business district in Hazelwood. The idea is not to duplicate other redeveloped steel mill sites nearby, like the retail heavy SouthSide Works, or the adjacent Pittsburgh Technology Center, which is all offices.